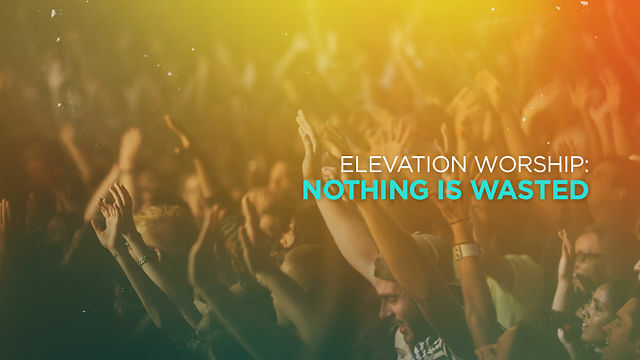 As I type this, Elevation Worship's newest album "Nothing is Wasted" is sitting at #5 on the overall, most-downloaded iTunes Albums charts. Yep. There it is. Smooshed in-between Mumford & Sons, The Lumineers, Bruno Mars and Justin Timberlake. It is amazing to see worship music make a national impact on the music world. Songs that are lifted up to our God for His glory, His honor, His fame. Songs that bring us into His presence and on our knees to worship. Songs that give us a glimpse of what heaven will be like one day. But let's be honest, not all churches have welcomed this style of music with open arms. For some, the electric guitar riffs are too piercing. The drums too loud. The words too repetitive. But for the rest of us who have fully embraced Psalm 96:1, "Sing a new song to the Lord!" You can be filled with anticipation that many of these songs will be making their way into your church rotation very soon. After listening through the entire album (both live and recorded versions), I have chosen the Top 5 songs that I would like to see added to my church rotation (no pressure, Jimmy). Goodness, this title track is powerful. Worship leaders, this is the number one song I would recommend adding to your rotation. It doesn't get more true than this. The opening track sets the tone of the album perfectly. Love the extended instrumental intro. I could get really detailed with how much I enjoyed the build of this song, down to the piano-only instrumental and the layering of drum beats over the bridge. But the lyrics are really what make this song one of my top choices for corporate worship. This song is simple. And sometimes simple makes the best worship song. This embodies everything that a worship song should be - exalting God and showing our need for Him. And I absolutely LOVE the catchy chorus, in fact I think I'll probably have it in my head for the rest of this post. I like that we were able to hear two different versions of this song on the album. I like them both, in different ways. But the acoustic-intro in the live version really won me over. It has a great melody. And again, great lyrics. I am so thankful that Elevation does a great job at incorporating scripture in their songs. It was hard for me to choose just one more song for my Top 5. There are several others that I really love (including Greater & Unchanging God). But the bridge really makes this song come alive for me. And there is nothing greater I ask of a worship song than to be in His presence. There you have it! My Top 5 recommendations. Hope you enjoy worshiping to these new songs. I know God is blessed by our praises!